The marker declaring the IRRI Manansalas as National Cultural Treasures is unveiled by (L-R) Jeremy Barns, director of the National Museum; Ronna Manansala, artist and granddaughter of National Artist Vicente Manansala; Ramon del Rosario, chair of the Board of Trustees of the Museum; Emerlinda Roman, chair of the Board of Trustees of IRRI; and Robert Zeigler, director general of IRRI. MANILA, Philippines - In a special gathering on 14 May 2015 at the National Museum of the Philippines, two large paintings by National Artist Vicente Manansala were elevated from Important Cultural Properties to National Cultural Treasures—the first Manansalas to gain such status. Since 1962 and until recently, these paintings had been on proud display at the International Rice Research Institute (IRRI) headquarters in Los Baños, Laguna. In the evening event Treasures in Art and Rice, the IRRI Manansalas and a special selection of heirloom rice varieties from the mountainous Cordilleras of northern Philippines were featured alongside each other—the paintings unveiled in their new home, the museum's IRRI Hall; and heirloom rice as tasty dishes whipped up by five world-class chefs. Bernadette Romulo-Puyat, undersecretary for special concerns of the Department of Agriculture, sees both paintings and heirloom rice as showing the significance of agriculture as a source of livelihood and a defining aspect of our culture. "Manansala's artworks are similar to the cultivation of heirloom rice as they may both be described as colorful, multidimensional, dynamic, and reflective of the Filipino spirit of solidarity," she said in a message she delivered representing Agriculture Secretary Proceso Alcala. Philippine heirloom rice varieties are being studied and promoted through the Heirloom Rice Project, a joint initiative of the Philippine Department of Agriculture (DA) and IRRI. 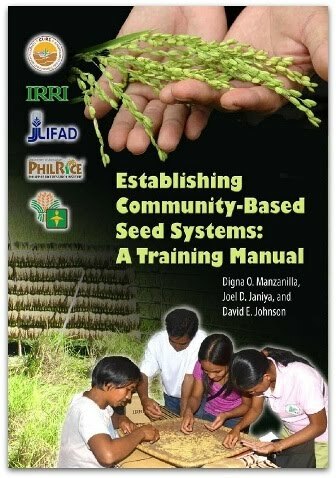 As traditional varieties handed down through generations of a clan or village, these unique crops have high nutritional properties, are in limited supply due to longer growing periods, and are more expensive than more widely cultivated rice, especially in specialty niche markets in the Philippines and abroad. 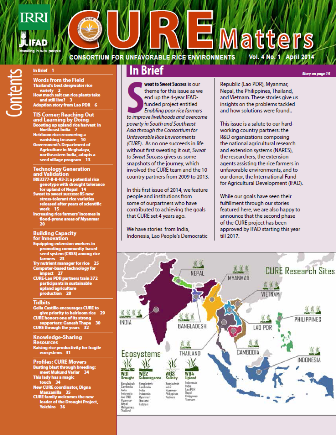 Under the project, heirloom rice varieties are characterized, classified, and studied for their properties and genealogy. Cultivation practices for each variety are also being documented, which allows scientists to work with farmers to optimize these practices for desired yield and grain quality. Because of its special eating qualities and novelty, heirloom rice is seeing increasing demand in the global market. The project team is thus also working with entrepreneurs to find demand matches for heirloom varieties that particular regions, villages, or farming households produce. 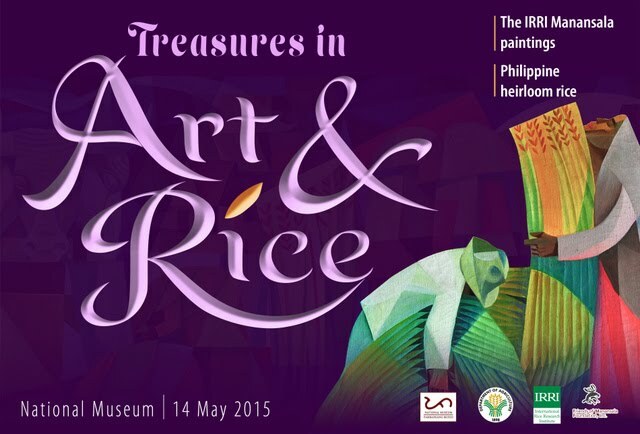 The paintings, by National Artist Vicente S. Manansala, were commissioned by IRRI soon after its founding in 1960. Philippine heirloom rice varieties were featured at the Madrid Fusión Manila in April.